» View game submissions and post friendly feedback in the submissions thread on Reddit. » Scroll to bottom of page to see the winner. Synopsis: Complete puzzles to get out of the house and play outside. Includes eating of broccoli, and giving jar of cookies away. Synopsis: Platformer where you are a naive new member of a broccoli cult. Jump on unbelievers to collect tokens. Synopsis: Platformer/puzzle about a broken robot with limited energy to do actions. Synopsis: Local 4-player turn-based game. Be the first to collect 5 coins. Place and use sigils to aid and hurt enemies. Synopsis: Hunt down flaws in a fractal broccoli landscape that will be sacrificed to the Rabbit God. Synopsis: As the broccoli, keep the other vegetables out of your garden plot. Shoot them away with your own florets. Run out of florets and you die. BROccoli - Life, Liberty, and the BRO-suit of Happiness! Synopsis: As a macho broccoli Rambo guy, shoot your way (using your own florets) through hordes of ladybugs and the boss while defending your sweetheart. Synopsis: Point and click game about a guy waking up in the Brocapocalypse and coming into contact with a broccoli cult. Humorous dialogue and facial motion capture. The entries below are non-competition entries, done just for fun and are not in the competition to win the honor/burden of hosting TAGJAM11. Synopsis: Throw food into the ugly baby's mouth without making the baby get angry. Broccoli makes the baby more angry but nourishes it. Happi-O's make the baby happy. Don't miss or the baby will get angry. Synopsis: Sort the good broccoli from the flawed ones along a factory conveyer belt. Synopsis: Use your three-footed wheel to keep the wicked cauliflowers from falling into the bowl of the greek Gods while letting the broccoli into the bowl. Bunnyhero (@BearInATeaCup or @bunnyhero on twitter) with the game Giant Broccoli For The Rabbit God. Congratulations and sympathies for bearing the honor and burden of being the next host. 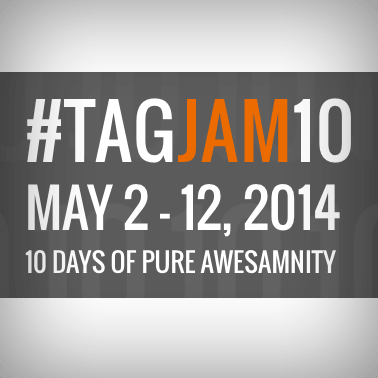 The Arbitrary Gamejam series creator, @TickTakashi will be in touch with you to get you squared away for hosting #TAGJAM11. May 2: Themes Announced: "Broccoli", "Flawed", "Sacrifice"
April 29: Looking for a team or teammates? April 9: Optional Bonus Rules Announced. 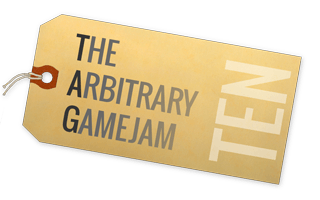 The Arbitrary Gamejam 10 is proudly hosted by Andrew Wang at iDumpling.com. © 2014 Andrew Wang.